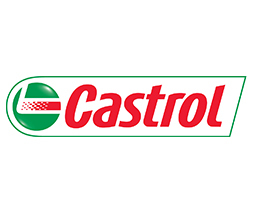 In December 2018, the agency received an interesting challenge from the Castrol brand. 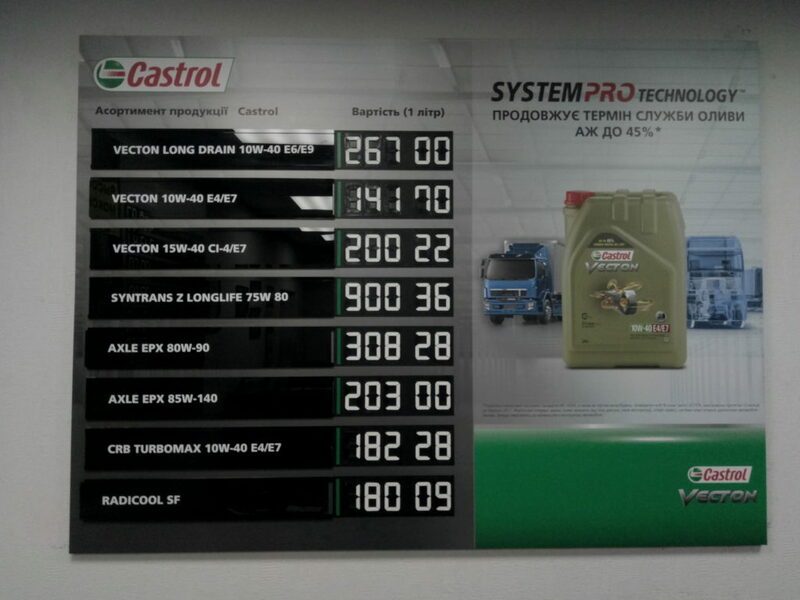 It was necessary to develop a solution for demonstrating prices of Castrol products at the sales point with the ability to make changes. 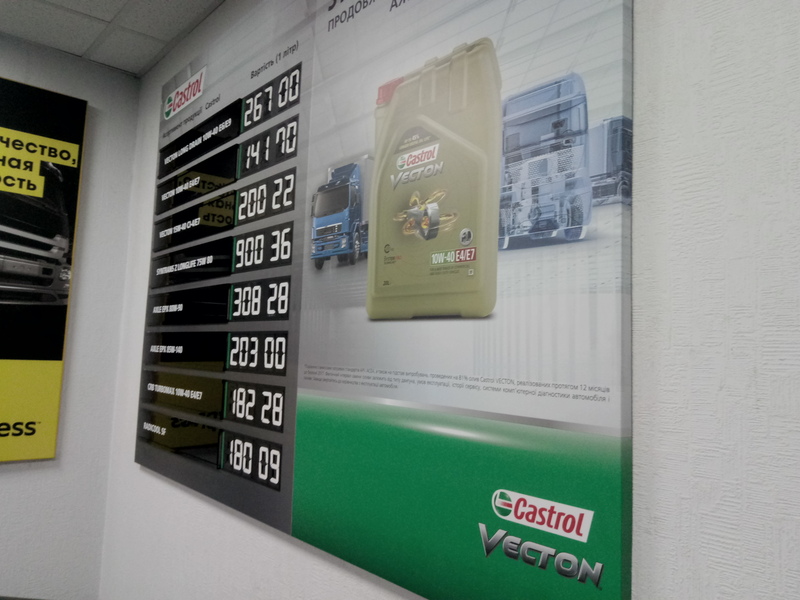 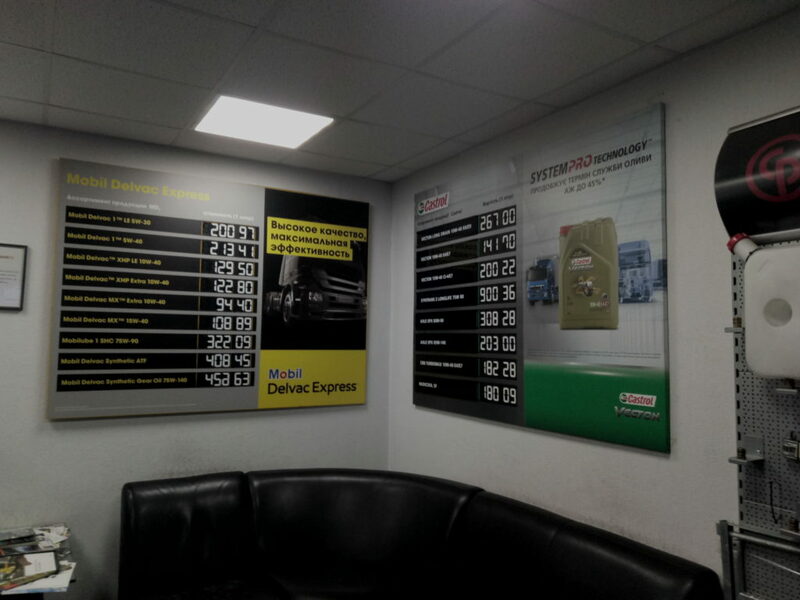 The agency team approached the task in a creative and non-trivial way: we created a wall shield 130*175 cm and equipped it with a special design for quick replacement of numbers – a seven-segment indicator with high-strength rotary lobes (the principle of operation is the same as for signs of currency exchange points). 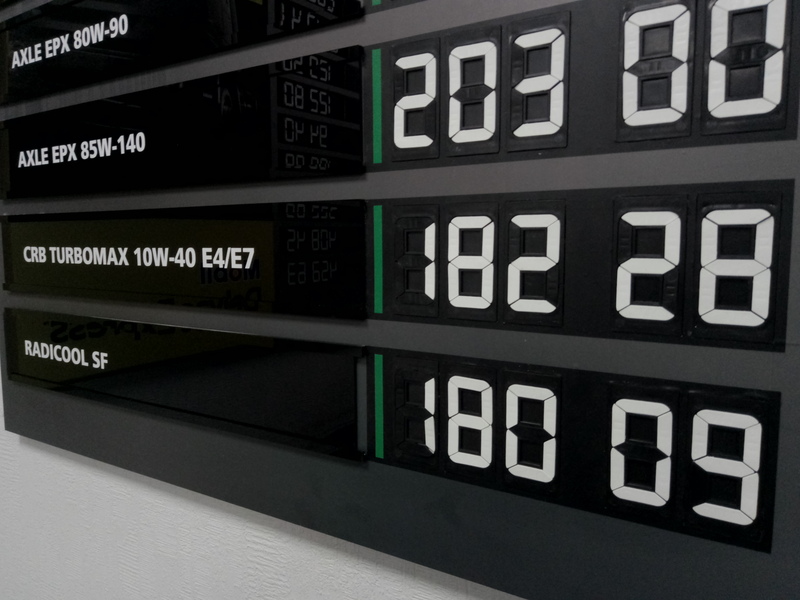 The shield turned out to be bright, colorful, attractive for visitors, and at the same time has convenient functionality that allows to change prices very quickly when it’s necessary.